Chisinau, 18 June /MOLDPRES/ - Composer Eugen Doga has given an author concert in the memory of the 129th anniversary of the death of poet Mihai Eminescu, in the concert hall of the Schönbrunn Palace from Vienna, Austria. 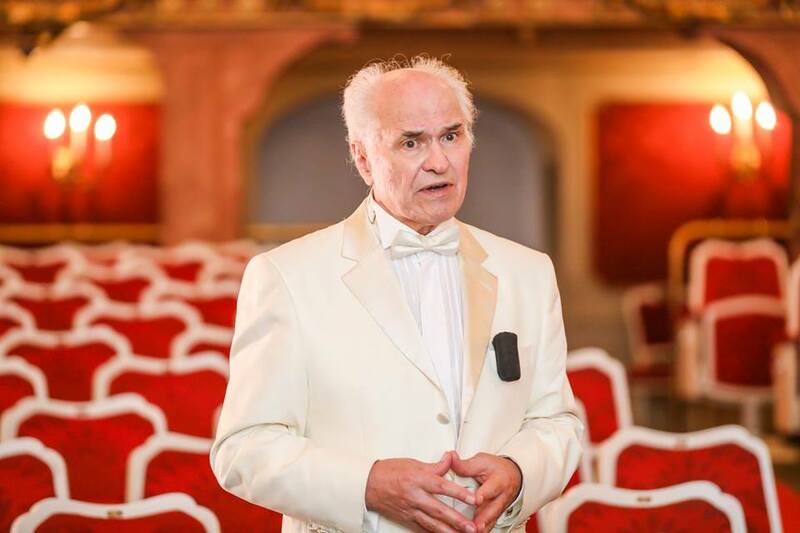 Master Eugen Doga presented his works, written on verses by Mihai Eminescu, Veronica Micle and Grigore Vieru, at the baroque-style concert hall Schlosstheater, where during times, Joseph Haydn, Wolfgang Amadeus Mozart and C.W. Gluck gave concerts. Donga concerted along with the National Symphony Orchestra of the Teleradio-Moldova, conducted by Dumitru Carciumaru and soloists Mariana Bulicanu (soprano), Ana Maria Donose (soprano, Iasi), Dumitru Matu (tenor) and Vitalie Advahov playing the accordion. Contacted by MOLDPRES, master Eugen Doga said that, in Vienna, he had been met by the audience standing. “As I was in Vienna, where Eminescu studied and where he got acquainted with Veronica Micle and where Strauss worked, I made my schedule especially for this city. All orchestra songs were in the tempo of waltz. We sang a new waltz titled Fanfaron, for the first time ever. The orchestra and soloists were very good,” the composer also said. The concert was organized by the Vienna-based Mihai Eminescu Association and the Romanian Cultural Institute, in partnership with the Ministry for Romanians Abroad, Embassies of Moldova and Romania to Austria and the Vienna city hall. Doga is author of valuable works in the genre of light, film and theatre music. He composed a symphony, cantatas ”Primăvara omenirii" (Spring of Mankind) and ”Curcubeul alb” (The White Rainbow), music for theatre plays, for more than 200 movies, chamber instrumental songs, sentimental songs, songs for children. Eugen Doga was awarded the State Prize, honorific title People’s Artist, Order of the Star of Romania in the Grade of Commander, Order of Faithful Service (Romania) and Order For Merit to the Fatherland (Russia). The composer is the author of the famous waltz, My Sweet and Tender Beast, designated by the UNESCO as the fourth musical masterpiece of the 20th century.